I’ve been kicking the tyres on Entity Framework 4, and have become a bit ambivalent about a few of it’s features – lazy loading and the virtual proxy implementation. As you can see, the model is pretty simple. Modelling double-entry booking keeping, each transaction consists of at least two entries, each of which are in a different account. You can imagine that an Account will over time contain many thousands of entries. This would be crippling for a for a large account. The way to avoid this would be eager load the Transaction for each LedgerEntry, but unlike NHibernate, Entity Framework does not provide that level of granularity with regard to loading strategies. With Entity Framework, you either lazy load everything or you eager load everything, and eager loading, I can attest, is the shorter path to damnation. 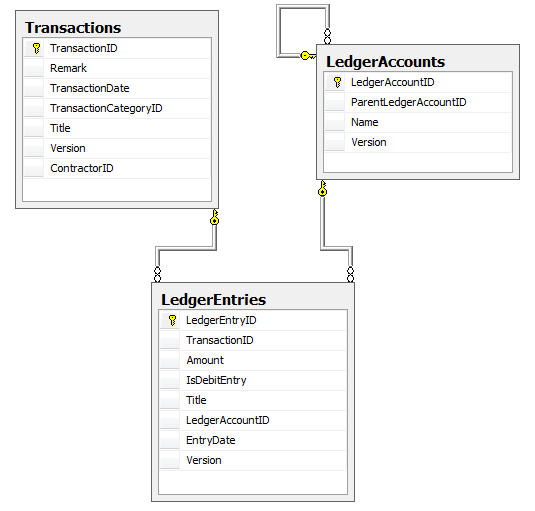 Only one query is made to database with the expected inner join between LedgerEntry and Transaction. What i can draw from this experience is that the virtual proxies for the lazy loaded collections defeat the Linq Provider efficiencies of IQueryable<TEntity> , transforming the queries to IEnumerable<TEntity> instead, which is really, really disappointing. So the takeaway for me is to not perform Queries against the virtual collections of entities unless you want your application to have serious problems. Instead query the object context directly as that will invoke the SQL Linq provider for sensible direct queries against the database. It might be a good time to spruik the benefits of Repositories, which I actually use to wrap these sorts of queries up…but I’ll do that next time. 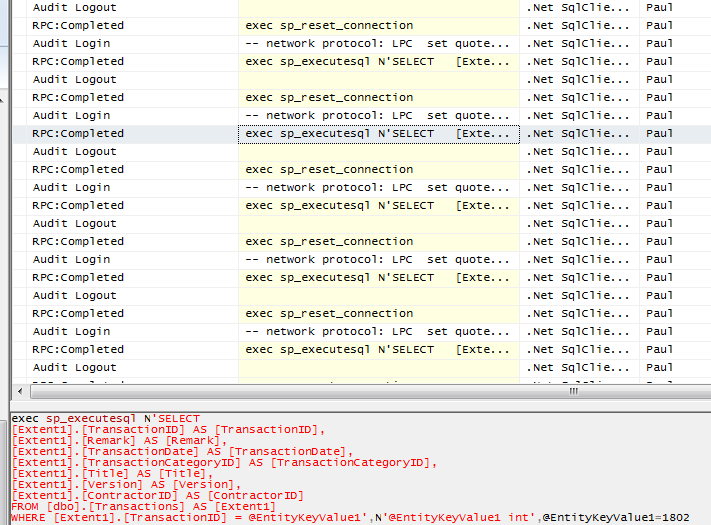 This entry was posted in Entity Framework and tagged codefirst, entity framework, performance. Bookmark the permalink.